Because academic and administrative units on the campus annually acquire or replace a great deal of equipment, appliances, and energy-using apparatus, there is ongoing opportunity to optimize energy consumption. The Campus Energy Use Policy addresses several areas related to energy-wise equipment application and use, e.g. the requirement that new computers and appliances be “Energy Star” rated. It is recognized, however, that many other acquisitions or purchases will be made during any given year that are not addressed explicitly in the Energy Use Policy. Units should opt for the most energy-efficient model where the simple payback is less than the expected life of the device/system. Units are asked to favor the lowest energy-using alternative, even if it comes at a slight premium in first cost. Energy usage of both colleges and administrative units is tracked by campus Energy and Utility Services and compared to a base period. Units that reduce their energy consumption will be eligible for certain benefits, while units that increase their energy consumption must cover the additional energy/utility costs of added equipment, or the replacement of existing equipment with less energy-efficient alternatives. 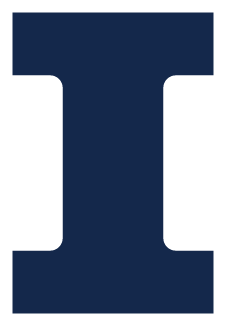 Information on incentives and utilities can be found at the website for Stewarding Excellence at Illinois and in the Utilities Next Steps (PDF) letter from the Office of the Chancellor. Units needing assistance with energy-related calculations or the selection of energy-efficient products are encouraged to call Energy and Utility Services (part of Facilities & Services) at (217) 333-2501.